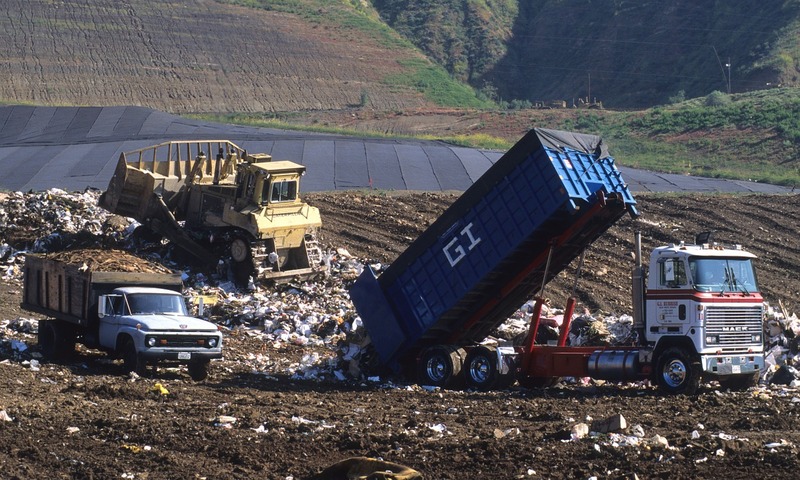 Most people know that recycling is a good practice. It reduces your waste and helps to make your community, and your world, a little cleaner. 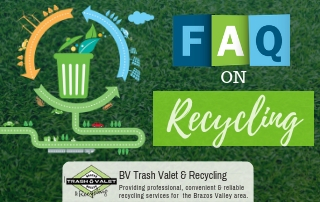 So there are several Brazos Valley residents with all the best intentions who might not realize that they’re actually making some common mistakes when it comes to recycling. Some of these mistakes, such as failing to separate different types of plastics, are less of a problem with recent technological advances like single stream services that allow co-mingling. Others, however, might still be a problem. 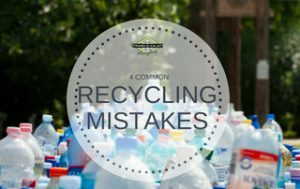 Here are some of the recycling mistakes we see most often. This one isn’t actually detrimental to the recycling process, but it is a bit of a drain on your time. 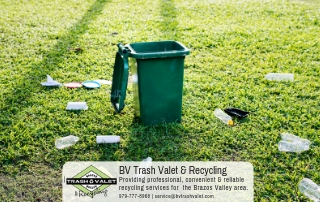 There’s a common misconception that when recycling bottles and cans, you first have to remove the label. However, whether there’s a label or not doesn’t really affect the recycling sorting and processing either way. Neither do staples in paper recyclables. If it makes you feel better to keep removing labels and staples from your recyclables, feel free. If not, save yourself some time and just toss them in the bin as is. On the other hand, there’s also an issue of residents recycling food containers that, by themselves, might be recyclable, but not when they’re still covered in half of your lunch. Even if the food is all gone, the leftover grease can be a problem. In fact, food grease can actually contaminate the whole of your recycling bin’s contents. That’s why pizza boxes, once they’ve held pizza, can’t be recycled. However, this doesn’t spell doom for all your food containers. If your bottles and tin foil containers can be washed before recycling, it’s all good. In most cases, lining your recycling bin with a plastic bag or tying your recycling up in plastic is a big no-no. Plastic bags get caught in the sorting machines, potentially causing danger to the batch. 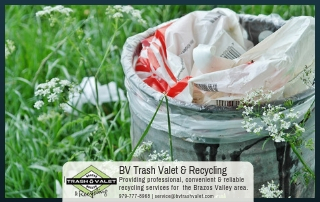 In fact, for safety reasons, many recycling companies won’t even open plastic bags, voiding your entire batch of recycling. Fortunately, if you choose a single stream system that doesn’t require sorting, this isn’t such a problem. However, you should use clear bags so that the recycling company can see the contents of the bag. Wet paper can be difficult to separate from the rest of the recycling, so make sure that it’s dry before it goes in the bin and not covered in something that could contaminate the rest of the bin. Although cardboard is hardier, it’s still a good idea to recycle it dry, since wet cardboard might cause other recyclables to stick to it rather than the other way around. Speaking of cardboard, flatten all cardboard boxes before recycling them. 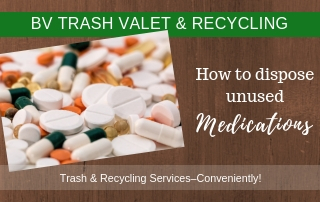 Fortunately, at Brazos Valley Trash Valet & Recycling, we make recycling a little bit easier by accepting plastics 1-7, more plastics than any of our competition. If you have any questions about recycling, feel free to contact us.